Stop ignoring your biggest asset and best sales person. A website shouldn't be forgotten about and only have a redesign only once every 3 years. A website should be constantly monitored where you are continually testing it and making improvements to generate more leads. Introducing a new method to website redesigns that has fixed the previously broken approach. It’s called growth driven design and it is producing real results for businesses. This FREE eBook outlines exactly why you need Growth Driven Design. 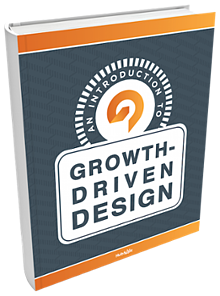 Download your guide to growth driven design and turn you website into your best sales asset.